Selling a home can sometimes be a long, stressful, and costly process. Like anything, equipping yourself with the right tools and the right knowledge can eliminate a great number of the potential negative aspects of the process – and get you the maximum return on your investment. The importance of having the right allies in the selling process cannot be overstated. Having an expert on your side is the single most important step you can take to reduce your stress. I will be there to assist you in making decisions and marketing your home effectively. You will also need an advocate during this time to be sure that you are on the right path. The first step in selling any home is a Comparative Market Analyses for your home. Many sellers take this step, but what they do with the information they receive is not always in their best interest. You will be working closely with your agent for many weeks, so it is important that it be someone you trust. You want to find someone that will be in constant contact each step of the journey. Making lots of money is often the primary goal for sellers. Most sellers fail to move beyond that goal and that can cause some problems. Another important goal that should be recognized is the attempt to minimize stress. Will getting an extra percentage or two for your home be worth the inconvenience of having it on the market for an extra month? Two months? Your priorities are your own, of course, but sometimes sellers underestimate the stress that having their home on the market for an extended period can generate. We will sit down and discuss just where you place the most importance in the selling process. If profit is your only priority, perhaps you can afford to be firmer in your asking price, and can reject offers that are less than ideal. If a quick sale is your most important goal, then it is possible for you to ask a lower price and generate multiple offers. If we work together, we can search for the asking price with the perfect balance of price and time for your sale. Few people would second-guess their heart surgeon and insist they could do a better job themselves, or question whether their lawyer’s knowledge of the law is more extensive than their own, but when it comes to selling a home, many homeowners find it difficult to put their faith in the knowledge of their Realtor® fully. For example, despite the fact that studies show that less than 1% of homes are sold through open houses, many homeowners insist their Realtor® hold one. Indeed, if a yard sign and an open house were all it took to sell a home, there wouldn’t be many Realtors® at all! If you’ve put the right team in place, put your trust in that team. 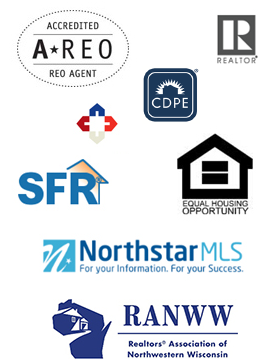 Realtors® have access to many highly-advanced marketing strategies that you may not even realize are being utilized. It is your Realtor’s® job to bring qualified buyers to the table – and keep in mind that he or she likely does not get paid at all if your house doesn’t sell! In most markets, the combination of the right representative and the right listing price will result in a sold home. If you recognize these facts early on, it becomes much easier to take a step back from the process, let your professional representative market your home, and minimize your stress. Do not hesitate to speak up if you think things are not progressing as they should, likewise, do not hesitate to sit back and be comfortable in the knowledge that the sale of your home is being handled professionally and effectively.